The title of your post is automatically formatted as a Heading 1. For every post, there should be only one Heading 1, so Heading 1 should never be used inside a post. In Largo, we typically use Heading 2 on article pages for the site title, so this should also be avoided. For this reason, we typically recommend using Heading 3 for subheadings within a story. Think of the subheading as nested within the main heading. So each major section of the post would have a Heading 3, and if that section has a subsection it should have a Heading 4. If your subsections have subsections, you can nest Heading 5 and Heading 6 titles as needed. These headings provide a structural outline for the post and can dramatically improve readability by making your article easier to scan and navigate. They are important for making the article understandable to visually-impaired people using screen readers. Well-structured articles also make it easier for search engines to index the site and make sense of the content. So how to you add a header? 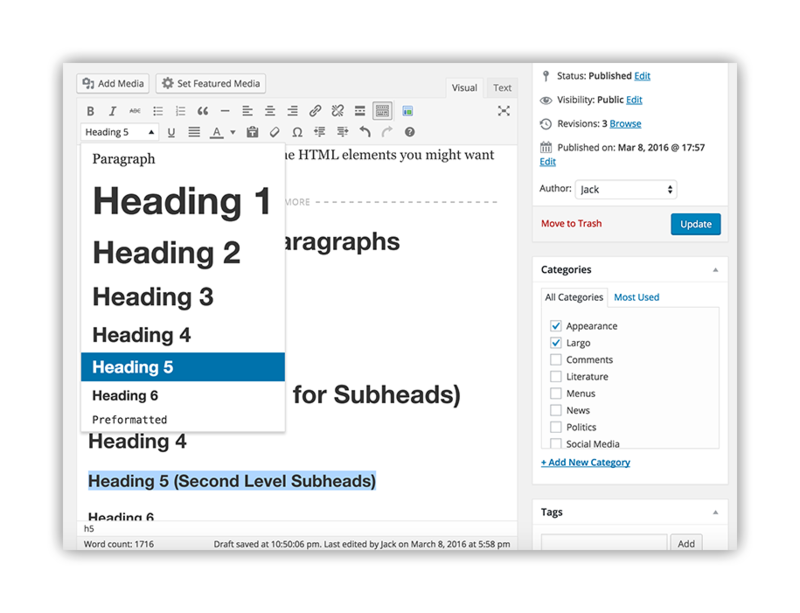 Just select the text you want as a header, and click the text formatting dropdown menu to select the header level you need. 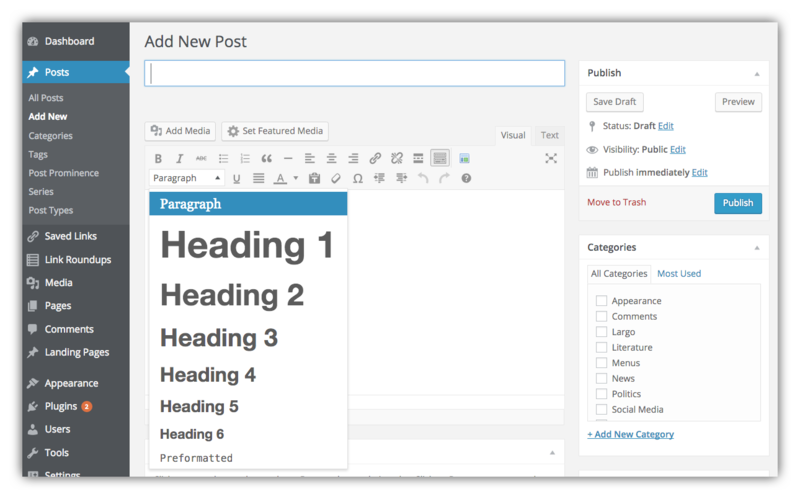 For more on structuring posts with Headings see the Largo User Guide.